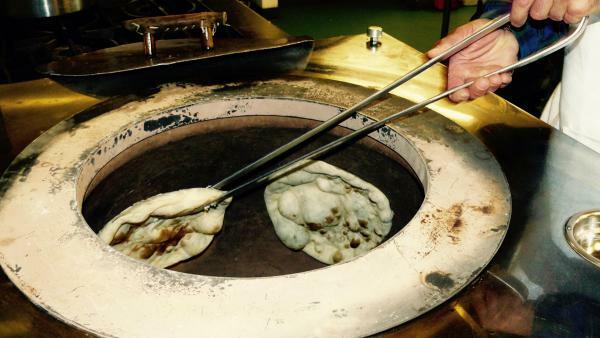 Aswan, the co-owner of Anne's Bakery in Missoula, removes khubz from their tandoor oven. After finding success at the Clark Fork Market, Anne and Aswan launched their business, Anne's Bakery, earlier this year. A close-up of khubz from Anne's Bakery. Earlier this month, Iraq's prime minister, Haider al-Abadi, declared victory over Islamic State — or ISIS — in the city of Mosul after nine months of urban warfare. Almost one million people from Mosul have been displaced. A brother and sister who fled that city and settled in Missoula four years ago are adapting to life as Americans. They’re making a living selling Iraqi flatbread in Montana, and marketing it to fit American tastes. At a commercial kitchen in Missoula, I meet Aswan and his sister Anne. Their older sister was an interpreter for the U.S. military during the war in Iraq, and they ask that I not share their last name to protect family members who are still there. Today, Aswan and Anne are showing me how they make Khubz. Khubz is the Arabic word for bread. While the origins of this flatbread are prehistoric, it continues to be a staple at every meal in Iraq and much of the Middle East. And now Anne’s Bakery, which is co-owned by the two siblings, is bringing khubz to Montana. Anne expertly passes the dough between her hands to stretch it out. She then places the dough on top of a round baking pillow with a handle, and Aswan slaps it onto the hot inner wall of a cylindrical oven. "This kind of stove, they call it tandoor," says Anne. The clay oven is hot. In just a few minutes, the dough puffs up and browns. Aswan plucks the khubz out of the tandoor with long metal tongs, and lets the steaming discs cool on the table where Anne is working. It doesn’t take the sibling duo long to finish baking the last piece. As Aswan turns off the tandoor, the room fills with the unmistakable aroma of fresh bread. Aswan: Go ahead, eat it, taste it. We taste it before. Rachel Cramer: So it’s nice, still warm, a little crunchy but still soft. It’s very good. The city Anne and Aswan grew up in, Mosul, is facing big challenges. The UN estimates rebuilding the western neighborhoods where the fighting was most intense will cost more than $1 billion. Aswan doesn’t like to talk about politics. He says he and his family appreciate Missoula and the opportunities they have here. "We think about our country, but now America is our new country. Yeah, we’re proud of it, to be American," Aswan says. Their older sister, Lilly, served as an interpreter for the U.S. military during the war, and thanks to former Montana senator Max Baucus, Lilly and her family were able to get a special immigration visa. 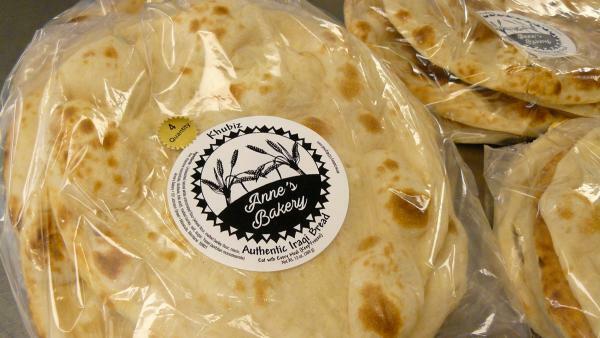 When they first moved to Missoula in June, 2013, Anne says the closest thing they could find to khubz was French or Italian bread. So two years later, her father decided to build a tandoor oven at their house. "We started to be bakers," says Anne. After tasting the khubz that Anne and her mother made, family friends suggested that they sell it at the Clark Fork Farmers’ Market. Aswan says they sold all of the flatbread by 11 AM on their first day. That was last summer. Now, Anne and Aswan have they’re own business called Anne’s Bakery. In addition to the farmers’ market, they’ve started selling to half-a-dozen grocery stores in Missoula, including Orange Street Food Farm. 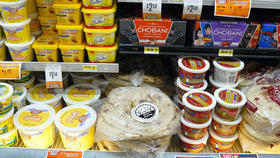 Tucked between the cottage cheese and butter lies a stack of khubz sealed in plastic and marked by the wheat logo Anne created. A laminated flyer below shows how the khubz can be consumed. In addition to a photo of khubz eaten with grilled meats, there’s a photo of it baked as pizza, spread with peanut butter, even smothered in cream cheese frosting and berries. 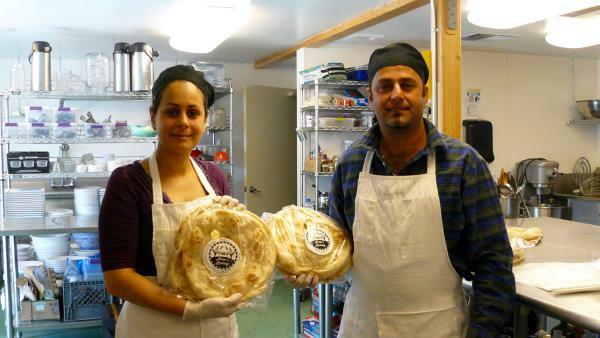 As the family from Iraq continues to adapt to life in the Montana, the Middle Eastern flatbread is being adapted to fit American tastes and food preferences.